The Society of Mary (Marists) [SM] was founded by Father Jean Claude Colin in Lyon France in 1836 and Pope Gregory XVI commissioned them to bring Catholicism to the Western Pacific. As they were the first Catholic missionaries to arrive in New Zealand, the early history of the Society in New Zealand is inextricably entwined with the arrival of Catholicism. The Society of Mary comprises ordained priests and professed brothers, and is not to be confused with the Marist teaching brothers (FMS) founded by a Marist Priest, Fr Marcellin Champagnat SM. They are a separate congregation, who arrived later to teach in primary and secondary schools throughout New Zealand. Protestant missionaries were already established in what Rome called the “Vicariate of Western Oceania”. Bishop Jean-Baptiste Pompallier as Vicar Apostolic of Western Oceania, and the first group of Marists set out on the Delphine in 1836 as the first Catholic missionaries. Pierre Bataillon and Br Joseph-Xavier Luzy were set down at Wallis, Peter Chanel and Br Marie-Nizier Delorme stayed at Futuna; on the way Claude Bret died during the voyage. Fr Catherin Servant and Br Michel Colombon were the first Marists to arrive in New Zealand with Pompallier in early 1838. Arriving in the Hokianga they soon moved across to the Bay of Islands and later south to the new capital, Auckland. Pompallier, Servant and other Marists very quickly learnt Māori and English. Pompallier had intended to become a Marist but was unable to, as he was appointed as a bishop to the Vicariate. Nevertheless he was present when the others took their vows. In all, the period 1838-1843 saw 37 members of the Society of Mary arrive in New Zealand. Over time however, differences over authority between Pompallier, and Jean-Claude Colin the Superior General of the Society, developed. In 1848 Roman authorities formally divided the country into two dioceses, Auckland where Pompallier would remain, and Wellington where the Marists would be based under Bishop Philippe Viard. The division made the Wellington Diocese comprise the southern half of the North Island and all the South Island. The Marists transferred in 1850 and again established the Church in local areas. Two Marists had set out for Wellington in 1842 but they were lost at sea on the East Coast. A lone Capuchin priest, Jeremiah O’Reily, who had arrived in Wellington in 1843 as personal chaplain to the Fitzgerald family, saw his office widen to attend to the needs of the Catholics among New Zealand Company migrants. Jean-Baptiste Comte had been sent to Wellington by Pompallier and established a Mission to Māori in Otaki in 1844. 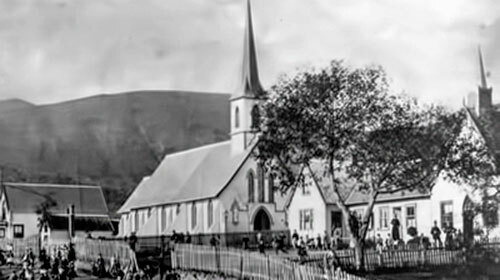 By the mid-1850s, the church was established in Nelson, Whanganui, Wellington, the Hutt Valley, the Wairarapa, Hawkes Bay and Manawatu and soon after that in Taranaki. Akaroa, which had seen the first Marists in 1840, and remains today New Zealand’s only French settlement, must have been a difficult mission. Comte, Jean Tripe (a Diocesan priest) and Br Florentin Françon returned north frustrated in 1842. Antoine Séon, Br Euloge Chabany and Jean-Simon Bernard did not last much longer when sent there by Viard in 1850. The Nelson mission at the top of the South Island had been established in 1850 by Fr Antoine Marie Garin and Br Claude-Marie Bertrand, and included Marlborough until 1864 when Blenheim received its first resident priest. Viard sent newly arrived Jean-Baptiste Chataigner to Christchurch in 1860 and within a year Claude Chervier joined him. Other missions fanned out over the Canterbury plains and finally a mission that was to last in Akaroa was established. In 1869 Chataigner moved south to Timaru and thus the South Canterbury mission was begun. On his one and only ad limina visit to Rome Viard asked for his territory to be divided and so in 1869 Bishop Patrick Moran was translated from the East Cape Colony in Southern Africa to be the new Bishop of Otago and Southland in the Diocese of Dunedin where Delphin Moreau had been the first missionary. While Viard had sent some itinerant diocesan men to the West Coast area they mostly got into strife so in 1868 he replaced them with Aimé Martin and later additional Marists. Between 1857 and 1878, 24 French Marists and 12 Irish Marists came to the New Zealand mission. Gradually Marists from England and Ireland became more numerous in the 1880s and 1890s. In 1887 Rome further divided the Diocese of Wellington, carving Canterbury and the West Coast of the South Island into a new diocese to be called Christchurch. The first bishop was John Grimes (an English Marist). At the same time Redwood became an Archbishop and Wellington the Archdiocese. Thus the two central dioceses were Marist-oriented and in the north, Auckland and the south, Dunedin, dioceses were under diocesan control. Two years later in 1889 New Zealand was erected as a Province of the Society of Mary and Jean Leterrier arrived to be the first provincial. By 1889 as well as establishing the church for Māori and later settlers, Marists were involved in many different works: Formation, Education, Retreats and Mission preaching. Over time these developed into full apostolates. Fr Gus Vening, going the extra mile. In some places and times particular Marists carried on this mission often against great odds. Heroes in many ways, they struggled with others who did not understand and did not appreciate the good work achieved. Some early Marists were particularly successful. There was a general belief that Māori were dying out. So in 1879 after pleading with the Marist authorities by the founder of the Sisters of Compassion (Suzanne Aubert) additional Marists were sent from Lyon to minister to Māori: Christophe Soulas, Francois Melu, Pierre LePrêtre, Claude Cognet, Julien Maillard, François Delachienne (Delach), Célestin Lacroix in the 18-year period 1879-97 and Jean-Marie Vibaud, Paul Ginisty early in the twentieth century. Thus the Marist presence in New Zealand was initially as a mission to Māori. It was only later when European settlers and soldiers (many of whom were Irish Catholics) came to New Zealand that the priests started to minister to the spiritual needs of Europeans. Popular Māori missioner Fr Augustine Venning, going the extra mile. Redwood was somewhat limited in his support and Thomas O’Shea did not help much even to the point of not allowing Delach, who had done so much for Māori in Otaki, to minister in the Archdiocese of Wellington. Augustine Venning was the first New Zealand born Marist to be appointed to the Māori Mission in 1917. During the 1930s more New Zealand Marists became involved in the Māori Pastoral Care apostolate – and in the 1980s there were up to 18 men on the Māori Mission along with 10 working at Hato Pāora College at, Feilding. While it can be seen that the Province was not heavily involved in the Māori Mission, the various mission stations to Māori and to settlers were becoming parishes and two types emerged. Most were handed over to a growing number of local clergy. A few parishes were designated “Marist” by Roman authorities and entrusted to the Society “in perpetuity”. While Wellington and Christchurch Dioceses were in a sense still “Marist”, with the development of the Province, the bishops were no longer in charge of Marists, and the parishes (and for that matter the bishops) were increasingly diocesan. As the population grew in the north, Auckland became short of clergy so in 1924 Bishop Henry Cleary invited the Society back to staff parishes at Mount Albert and Whangarei. Redwood greatly valued his Marist education in Nelson, France and Ireland and though most mission stations/parishes established a primary school, he was determined to see secondary schools. In 1885, St Patrick’s College, Wellington opened and thus an apostolate in secondary education was begun for New Zealand Marists. The first teachers at St Patrick’s were Irish Marists from the college at Dundalk, other Irishmen joined them as well as some early scholastics including O’Shea who was later to be Redwood’s co-adjutor and successor. 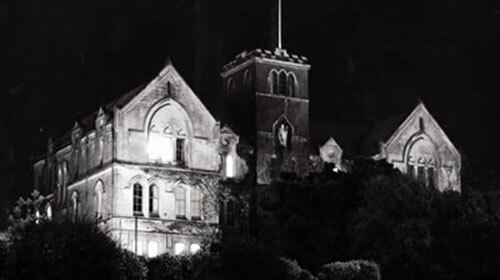 For example, in 1945 the existing six colleges were educating 1155 pupils with 57 Marist staff. Fifty years later following integration into the state education sector, the eight colleges were educating 3674 pupils with about 30 Marist staff and about nine times as many lay staff. There were moments of trans-Tasman cooperation too. A number of Australians joined the New Zealand Province. The mission band spent 1911 in Tasmania and Bernard Quinn was sent to Gladstone, Queensland, in an attempt to help his tuberculosis. Quinn wrote to Rome on his return suggesting that the Society would never implant in Australia if the houses there remained under Oceanian administration and so the parishes of St Patrick’s Parish, Church Hill and Holy Name of Mary Parish, Hunters Hill in Sydney and Gladstone Parish were incorporated into the Province. 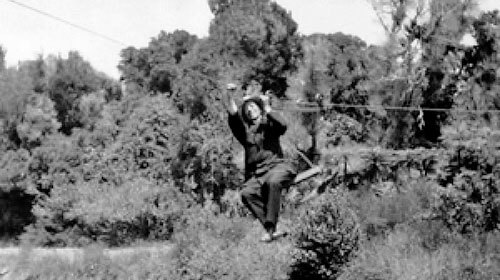 In 1925 Glenlyon, Queensland had become the Australian base for a mission band and when the Province of Australia was set up in 1938 some Kiwis stayed in the new province. Formation of future Marist priests started in Wellington in 1889. It moved a year later to Meeanee in Hawkes Bay. Twenty years later, after frequent flooding, buildings were cut into sections and all were dragged by traction engine along roads and onto the hillside at Greenmeadows, Mount St Mary’s. This was a great new site but the Napier Earthquake on 3 February 1931 claimed the lives of seven students and two priests, crushed by the collapsing stone chapel. The new Code of Canon Law introduced in 1917 made it imperative that a separate novitiate be found and Highden at Awahuri near Palmerston North was established with first novices in 1924. Previously the novitiate was at the Mount where novices lived as a separate group. Formation at Greenmeadows was all encompassing and apart from “camping” at Waimarama a nearby beach, in holiday times and a couple of trips home during one’s course at the Mount, it was fairly enclosed. There are stories of saints and tyrants, grape-picking, the wonderful and hardworking brothers, funny tales and legends that grow in the telling. Since 1990 formation has been centred on Auckland. Many Marists who passed through the Seminary have gone on to distinguished careers as academics, teachers and parish priests. There have been five New Zealand Marist Bishops to date, Bishops Viard, Redwood, O’Shea, Grimes and Max Māriu (New Zealand’s first Māori Catholic Bishop) and the same number in the Pacific Island Missions. In 1928 the Province sent its first missionary to Samoa. Over the years a huge number followed. Visiting Oceanian bishops and holidaying missionaries encouraged volunteers, and later the Mission Society at Greenmeadows kept the fire alive in the hearts of many. The early death of Emmet McHardy, who had worked in the Solomons and the inspiration of Chanel and the early Marists called many to devote their lives to Oceania, at that time synonymous with the Foreign Missions. When in more recent years Pakistan, South America, East Africa, the Philippines and North Dakota and Thailand opened up as Mission fields there were nearly always New Zealand Marists involved. 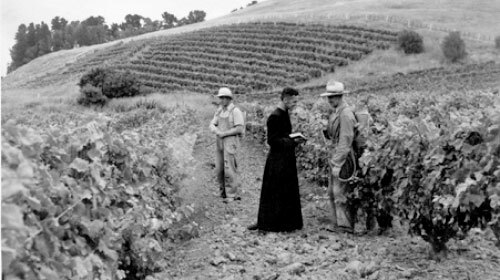 Redwood and Marists of his time began the Parish Mission ministry. Wearing the traditional blue cape, sash and preaching crosses they were an imposing lot. In 1909 the first Mission band formed, eventually residing in Temuka. As well as the sortie into Tasmania recorded above, a great number of missions were carried out in Australia, beginning in Sydney and spreading over time throughout a large area and to Fiji. In 1922 the mission house moved to Eccleston Hill, next to what is now the Wellington Cathedral, and later to Island Bay and then what we now call Marist Centre (Wellington). In the late 1920s Glenlyon, Queensland and Mt Albert were established as Mission Houses, and later Maryvale at Hunters Hill. Retreats to religious also continued to be a feature of the Mission Band well into the 1980s. Futuna began as a men’s retreat house in 1947 and ran for fifty-three years. Its architecturally significant chapel built by Society of Mary brothers in 1960-61 was central to the place. Thousands of men and later women spent a weekend there as the team presented a new theme each year. Religious and priests came for retreats and direction, annual Marist retreats were regularly held at Futuna and it was a huge success in the archdiocese. A band of brothers cooked, cleaned, and welcomed retreatants – working together with a lay staff and volunteers. In 2000 Futuna was sold and the team who had been there moved to the former provincial house at Hobson St and began the retreat and spirituality centre called Emmaus. Renamed Pa Maria, this is now the centre for Marist Spirituality and the sharing of the Marist charism with lay co-workers. Other ministries were always part of the Province. New Zealand Marists distinguished themselves as military chaplains. Others have been chaplains to prisons, alcoholics, hospitals, schools, convents and to other religious orders. The Marist Messenger the New Zealand Province’s magazine, published since 1929, has a wide circulation both locally and abroad. Third Order of Mary, Marist Laity and Marian Mothers groups have a large following throughout New Zealand and in some ethnic groups as well. In the last 25 years there has been a huge overhaul of institutions, schools, formation, houses and community life, and a significant restructuring to whom and where we minister. No longer are many of the old institutions part of the Province and we generally live in smaller groups in smaller houses. We have largely withdrawn from teaching in schools and many parishes, preferring more remote bicultural, multicultural parishes; formation has moved to Auckland and is shared with the Australian province and the Diocesan clergy. Yet despite the increasing age of the New Zealand Province, many of its younger men still give themselves generously to the Society’s mission districts. Education/Formation including the Logos Project in Auckland, the Marist Education ministry, being the proprietor of three secondary schools, school chaplaincy and teachers, Marist Seminary, Good Shepherd College, and a significant contribution of New Zealand Marists to International Formation. “Foreign Lands” including through the Internet, the business world, consulting, Wellintown, to the poor and marginalised, social services. Spirituality/Retreat including Marist Laity, Marist Spirituality Centre, the Marist Messenger, retreats and spiritual direction. Being present with Bishop Pompallier at the signing of the Treaty of Waitangi, where Pompallier was responsible for gaining religious freedom for all in New Zealand. In 1851 Jean Lampila and Brs Basil Monchalin and Florentin (John) Françon established the Mission in Hawkes Bay. The Mission winery dates from this time and is New Zealand’s oldest established winemaker. Fr David Kennedy wrote a textbook called Natural Philosophy for Junior Students, which became a standard text throughout the British Empire. From the proceeds of this book he established an astronomical observatory in Hawkes Bay, bought several telescopes and his students took some of the world’s clearest photographs of Halley’s Comet in 1910. From 1905 to 1909, he operated a Meteorological Station at Meeanee and he trained the Reverend Daniel Bates, the New Zealand Government’s first Meteorologist. Another little known link between the Marists and New Zealand history is in the field of literature. Fr Frank MacKay was a personal friend of James K. Baxter and wrote his biography. Fr John Weir was also a friend of Baxter and edited his Collected Poems.